Guess what? CSN Stores contacted me about hosting giveaway on my blog. This will be my first ever giveaway. CSN Stores has over 200 online stores where you can find anything you need whether it be a stylish handbag, a chic barstoolor even cute cookware! And most importantly,… Free Shipping! Someone will get $50 gift certificate to spend but he/she has to reside in U.S or Canada. 2) Leave a comment about your favorite Korean food. 3) You may blog about this event, leave me another comment. It makes another entry to notice. I will announce the winner on Nov. 8th. 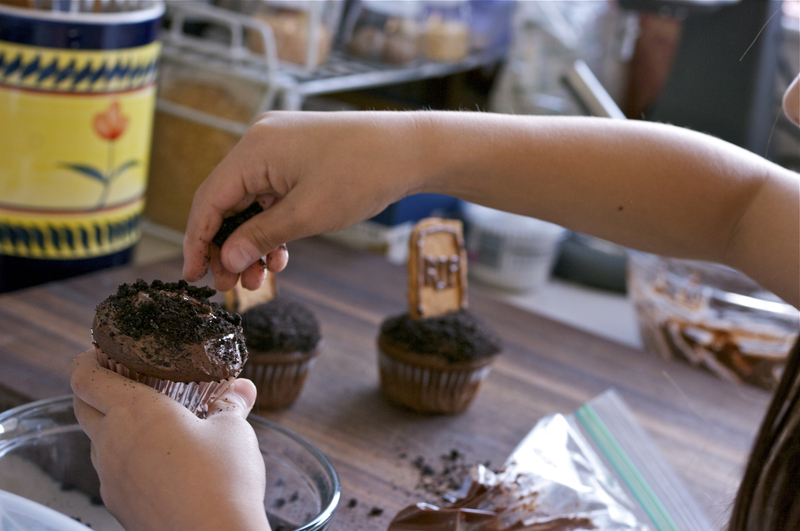 I am not much of cake decorator but I do enjoy making fun cupcakes with my kids. 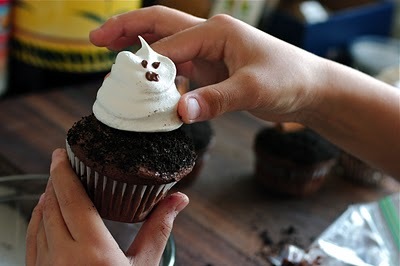 Halloween is coming near, and this year I made some easy cupcakes with my Sous-Chefs (?) to celebrate the fun tradition of this country. 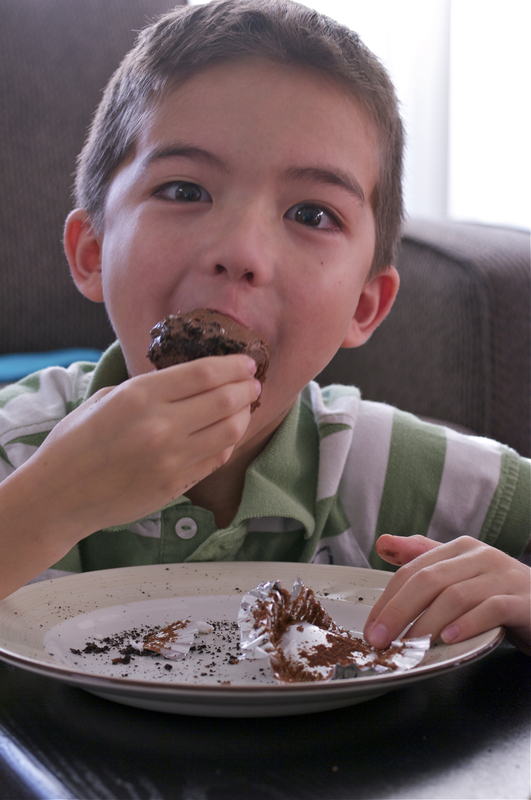 I am not going to add tutorial on the cupcake part because you can use your favorite chocolate cupcake recipe and chocolate frosting. 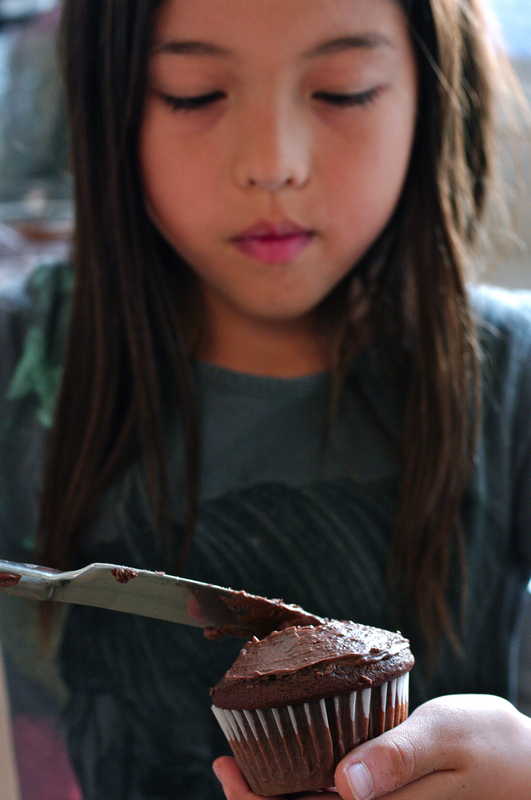 You can even use store bought cake mix and frosting to make your life easier. 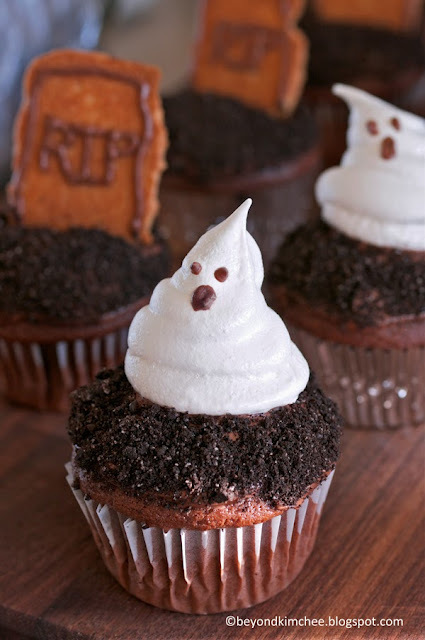 All you need to do is bake some meringues to make cute ghosts. 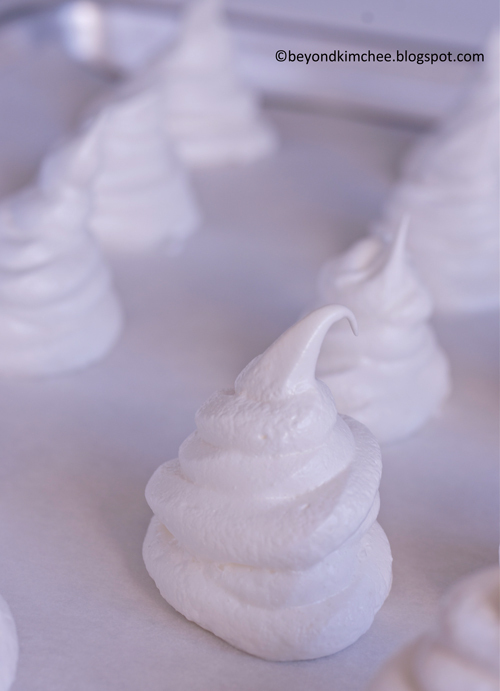 Whisk egg whites and cream of tartar in a high speed until soft peak forms. the steep peak forms like this. I put the mixture in a zip lock bag and cut the ends about 1/2″ wide. If you have a pastry bag with 1/2″ round tip, that would work the best. Just swirl around to make a base and build to the top ending with a slanted tip. Bake at 200ºF for 75minutes. 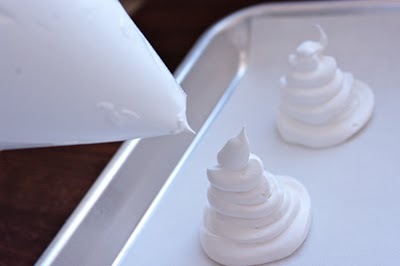 Turn off the heat and keep the meringue for another 1 hr until they dry completely. They can be kept in a airtight container for 1 week as long as the climate is dry. cut a tiny slit, and dot eyes and mouth. 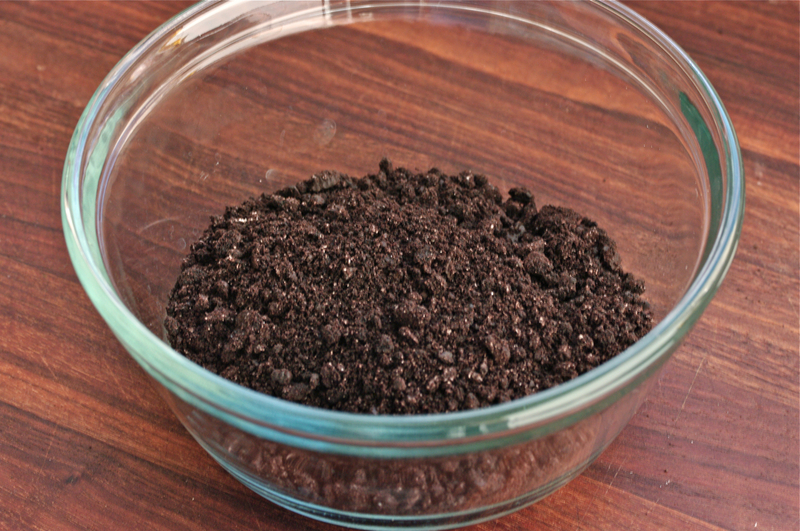 Crush some Oreo cookies without the white filling. Frost cupcakes with your frosting. So nice to have a Sous-Chef in the house, isn’t it? Sprinkle the cookie crumbs on top. Put a little bit of frosting on the bottom of ghost and stick it on top of the crumbed cupcake. 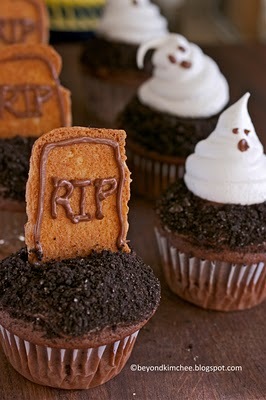 For the tomb stones, use any rectangular shaped cookies. 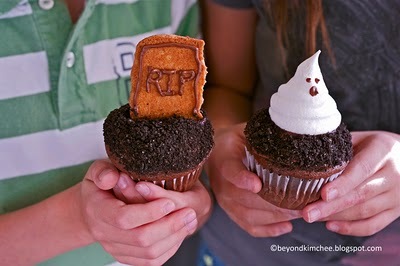 Use the same frosting in a bag and just drizzle to write the words you like. While one is busy making, the other is chowing down. Don’t forget to enter to win the giveaway. 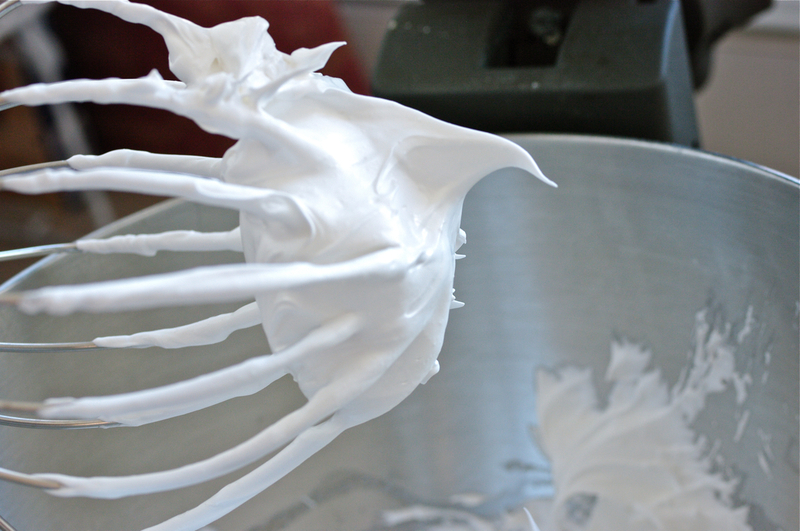 In a stand mixer with a whisk attachment whip egg whites and cream of tartar until well mixed on high speed. Add vanilla and whip. 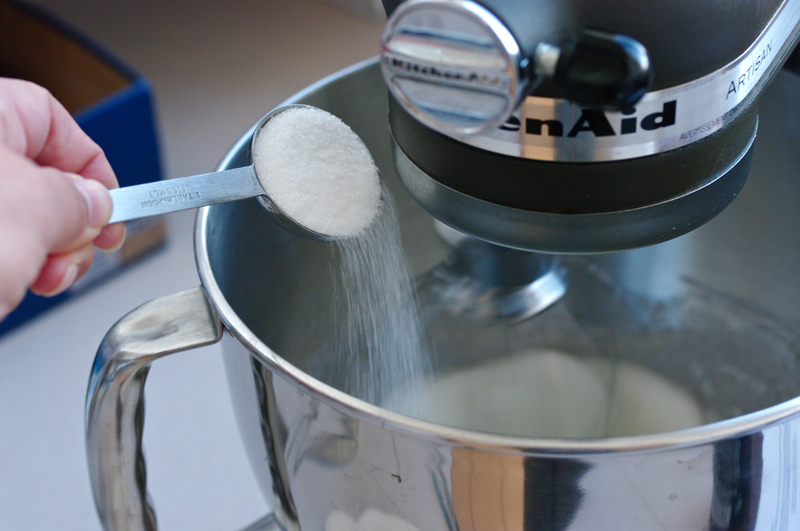 Add sugar 1 Tbsp at a time, continue to whip until the steep peak forms. Put the mixture in a pastry bag with 1/2″ round tip, or put in a zip lock bag and cut 1/2″ slit on the corner. Place parchment paper on the baking sheet. 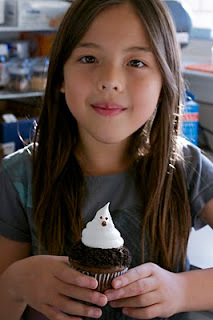 Squeeze out the filling, swirling around to make 2″ circle to form a base, and build to make ghost shape with a slanted tip on top. Bake for 75 minutes. Turn off the heat and keep the meringue in the closed oven for another 1 hr until they dry completely. You can store them in a airtight container for up to 1 week. OMG and your kids are soooooo cute. Your daughter is simply gorgeous! Those are too cute! Adorable kiddos! Favourite Korean food? Kimchi jjigae. Whenever my mother makes it, I could easily sit and eat most of it, haha. Whoops, forgot to sign in with my comment. My favourite Korean food is kimchi jjigae. Whenever my mother makes it I can easily sit and and eat most of the pot, haha. my favorite korean food is a delight you posted here already: chicken tofu patties! The top n. 1 for me!!! Congratulation for hosting a giveaway! I hope this is only the first one from many more to come! hugs and kisses, dear friend! P.S. : your kids are simply the cutest ever! I love Ssam Baap, too, especially with Korean yellow bean paste with mushroom. Very healthy! 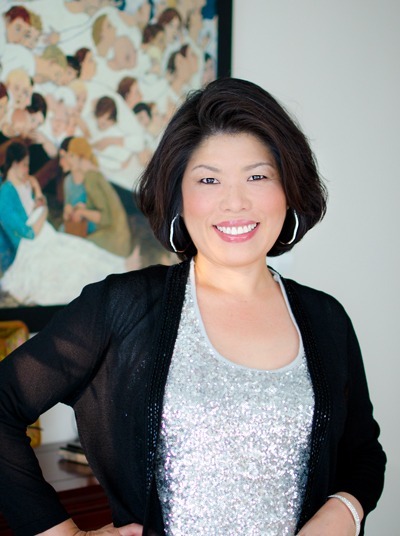 Is you mother form Korea? 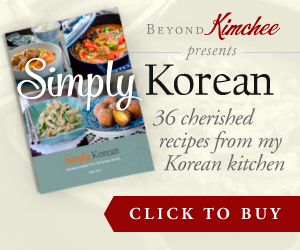 How does she make her Kimchee Jjigae? Thanks, Jux. I've wanted to ask you if you have children. I am so happy that you liked my chicken tofu patties. They are one of my kids favorite. I am not sure of the proper names, but I love a certain noodle dish from a nearby restaurant...So i will go with the chicken tofu patties right now, because they look delicious and i definitely want to try them out! You always take such great pictures, and I agree with everyone else who has said it- your kids are adorable! So are these cupcakes. I think my favorite Korean dish (this is like torture, how do you pick just one dish?) might be a Doenjang Jjigae that my mom makes with small-sized crabs, delicious legs and all. It is filling and spicy and and so, so good. A bowl of that with some hot, fresh rice- I love it. wow your kids are absolutely gorgeous! My favorite Korean food is soondaeguk! Favorite Korean food (if I ever had to choose): Jajangmyeon! Mmmm, best comfort food ever! Lettuce wraps are probably my favorite --but, I enjoy many! i am already following you via google reader! I'm already a follower! :) My favorite Korean food is a toss up between Galbi and Nakji Bokum. Mmmm!